Welcome to Milton Hyundai, your Signature Certified Hyundai dealership in Milton, Ontario. 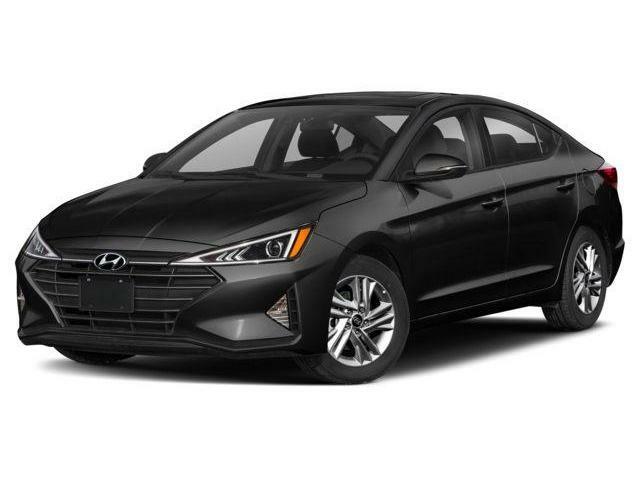 We are presenting the new 2017 Hyundai Elantra. You can find all the relevant information below. Enjoy! 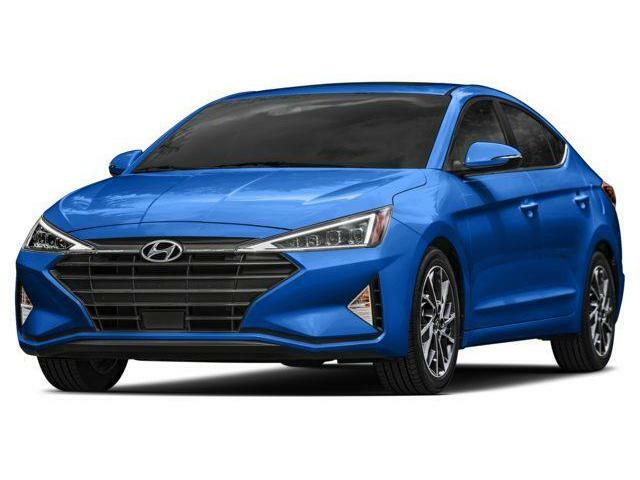 The all-new 2017 Elantra is a groundbreaking vehicle, designed to bring new levels of sophistication to compact car customers. Our engineers set out to achieve a new standard for rigidity with a structure heavily composed of our Advanced High Strength Steel - the SUPERSTRUCTURETM– which delivers a new level of ride comfort with smooth and precise handling and enhanced safety. Advanced technology such as the available Autonomous Emergency Braking system with Pedestrian Detection and the class-exclusive standard heated front seatsΩ are just further examples of our New Thinking, providing you with New Possibilities. The completely redesigned 2017 Elantra delivers an athletic presence from every angle. Its prominent hexagonal front grille dominates an edgier front end and is framed by striking headlights. Front bumper air vents and the available LED daytime running lights provide more aggressive styling cues, while the rear bumper creates a sportier stance. Available High Intensity Discharge (HID) headlights with Adaptive Cornering System (ACS) system not only provide sophisticated styling, but also offer optimized illumination for the bends and curves on your path. 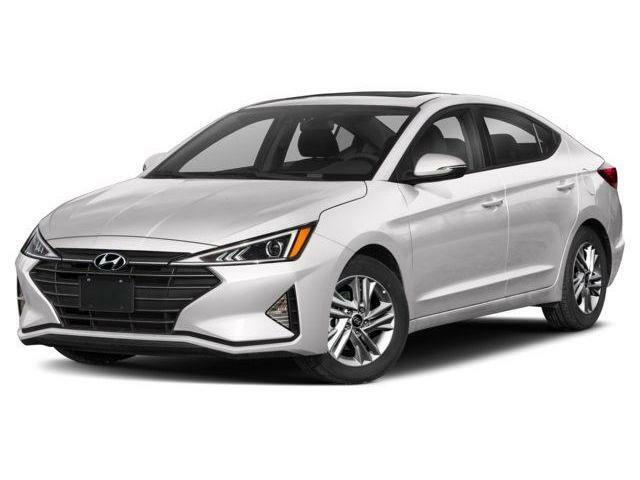 Not only visually striking, the available LED daytime running lights also provide added illumination and complement the 2017 Elantra’s unique styling cues. The available HID headlights offer crisp, white illumination of the road, reducing driver strain on longer trips and improving visibility. The advanced lighting technology also features an Adaptive Cornering System, which enables the headlights to turn with the direction of the steering wheel for optimal lighting of your path. Boasting sophisticated design and outstanding visibility, the 2017 Elantra offers available LED tail lights. Enjoy the sunshine and fresh air with the available power sunroof. The sportier design cues of the all-new 2017 Elantra are more than just eye-catching. Key design elements serve a functional purpose and are a result of our advanced engineering and design. Optimized aerodynamic lines of the rear spoiler and undercarriage contribute to reduced drag, while the integrated airflaps on each side of the lower bumper minimize air twisting around the wheel to provide less resistance. The result is enhanced driveability and fuel efficiency. The available hands-free Smart Trunk will automatically open when you stand within 3 feet behind the vehicle, with the proximity key, for more than 3 seconds. Just conveniently unload your two hands’ worth of cargo, effortlessly. GLS, Limited and Ultimate models are equipped with bold, 17” alloy wheels for a sportier look. When equipped with the available proximity key with push-button ignition, the door pocket lighting will illuminate when you approach or unlock the all-new 2017 Elantra. The interior of the all-new 2017 Elantra has been completely reimagined with an intuitive design filled with advanced technology and a wealth of comfort features. Always stay connected with the available Bluetooth® hands-free phone system and Android AutoTM technology seamlessly integrating select apps from your phone. Enjoy added comfort and convenience with three segment firsts; standard heated front seats, an available Driver’s Integrated Memory System that will store seating and mirror preferences for two driver settings, and an available hands-free Smart TrunkΩ. Plus, you don’t have to go to the top trim for features like the available heated steering wheel, heated rear seats or even the available 7.0" touchscreen audio system with rearview camera. The 2017 Elantra offers class-exclusive standard heated front seats so you can stay warm and comfy on even the coldest Canadian winter day. In addition to available steering wheel-mounted audio, cruise and Bluetooth® controls, the 2017 Elantra features an available leather-wrapped, heated steering wheel for added comfort and warmth. Your rear seat passengers will thank you for the luxury of available heated rear seats. The available 7.0" LCD touch-screen audio display with rearview camera provides an intuitive interface for you to stream music from your smartphone or to talk to family and friends with the available Bluetooth® hands-free phone system. The available 8.0" touch-screen navigation system not only helps guide you from point A to point B, but can also be used to search for gas stations, ATMs or restaurants. This available feature puts the power of your favourite smartphone apps right on your Elantra’s touch-screen. Just connect your Android AutoTM compatible phone and your select apps are road-ready. This available feature conveniently stores your settings and automatically adjusts the driver seat and exterior mirror positions of two drivers. The available Infinity® audio system includes an external amplifier and 8 speakers strategically placed inside the cabin to provide an immersive, surround sound experience for all occupants. The world’s greatest engineering achievements all begin with one thing: a strong foundation. The SUPERSTRUCTURETM is the state-of-the-art platform that lies at the core of the all-new 2017 Elantra. Building upon this ultra-rigid chassis, Hyundai engineers set out to achieve a new standard in handling precision, ride comfort, interior quietness and safety. Constructed using a greater amount of Advanced High Strength Steel forged in our own steel mill*, the rigid composition of the SUPERSTRUCTURETM enables more precise tuning of key suspension components. After all, creating a work of art requires a steady canvas. Experience improved cornering stability, precise handling performance and enhanced confidence at higher speeds. Enhanced interior soundproofing is another benefit of the SUPERSTRUCTURETM. A thoroughly-engineered structural design, increased steel rigidity, and extended application of soundproofing materials all help to keep outside noises where they belong. Whether you are navigating dense city traffic or cruising Canada’s wide-open highways, enjoy greatly reduced noise and vibration levels. Over half of the SUPERSTRUCTURETM is comprised of Advanced High Strength Steel for exceptional stiffness and strength. The body of the all-new 2017 Elantra also features extended application of structural adhesives to reinforce critical areas. In the event of a collision, the SUPERSTRUCTURETM helps protect occupants inside the vehicle by absorbing harmful energy and redirecting it away from the passenger compartment. $22,274 x 84 Months @ 3.97% APR (estimated financing rate, cost of borrowing $3,255). $22,274 x 24 Months @ 4.47% APR (estimated financing rate, cost of borrowing $1,030). $23,924 x 24 Months @ 4.47% APR (estimated financing rate, cost of borrowing $1,106). $22,424 x 24 Months @ 4.47% APR (estimated financing rate, cost of borrowing $1,037). $22,427 x 24 Months @ 4.47% APR (estimated financing rate, cost of borrowing $1,037).